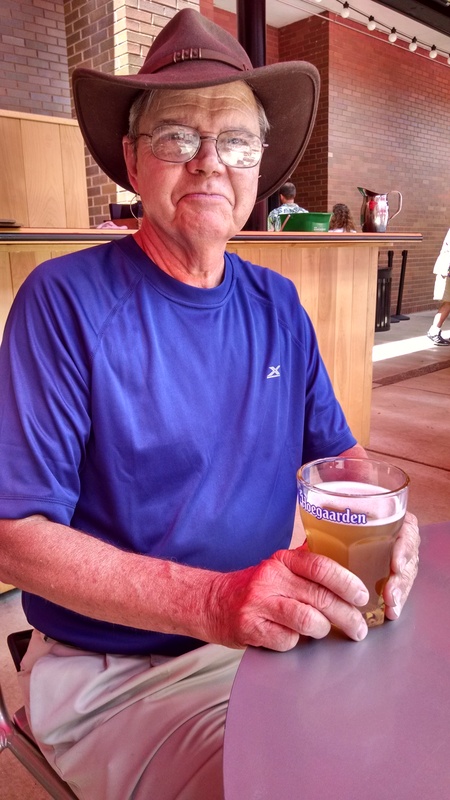 For Father’s Day we toured the Anheuser-Busch Brewery in Saint Louis and stayed for lunch in the outdoor Bier Garten. It was a fun day together! We had a blast looking at such elegance in regard to beer! Tour guides led us through the Clydesdale Stable, Tack Room and various stages of the Brewery giving detailed commentary at each stop. We were given a small sampling of freshly brewed beer at one stop and tokens for another full size brew at the end of the tour. We enjoyed lunch at the garden and were amazed at the elegance of the facilities. We took the complimentary tour. They offer more in-depth tours for a price. This was sufficient for us and we enjoyed it tremendously. The food was delicious and the beer cheap. We had hoped to go to Grant’s Farm for one day but with the rainy week, it will have to wait until another trip through this area. We are learning that we will never see it all and certainly not in one trip! However, I wouldn’t want to not be doing what we doing, traveling the USA!